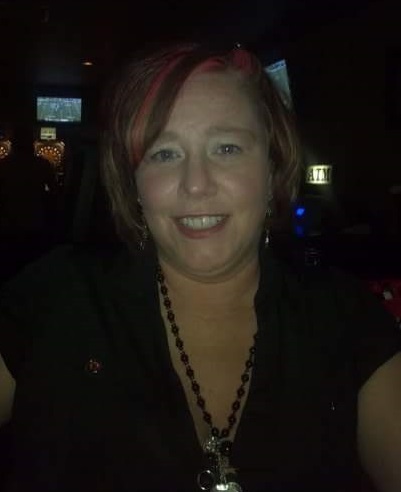 Kathryn Marie Fitzgerald, 40, of Sioux Falls, died unexpectedly at her home on July 8, 2015. She was born May 2, 1975 in Sioux Falls to Dale and Mary Kay Fitzgerald. Kathy attended Cleveland Elementary, Whittier and Washington High School. She attended college classes at STI for Nursing. More than anything else in the world, Kathy loved her five children. She was very outgoing and struck up conversations with people everywhere she went. She loved to talk to people. Kathy loved watching movies with her children especially the Wizard of Oz and Pocahontas. She and her son Tyrique recently adopted three kitties, Orange Crush, Isabella and Paradise. Hello Kitty and Eeyore were her favorite characters. Kathy's favorite flowers were roses and tulips. Music brought her much peace. Her favorites were country music and rap. Kathy is described by her friends as a person who would make you laugh, cry, or get angry. While she could be stubborn and push your buttons, she loved with just as much passion. Kathy is survived by her five children: Calissa Crichton, Tyrique Fitzgerald, Marqueez, Jaedyn and Kayahna Hatter; their father: Antonio Hatter; her father: Dale Fitzgerald; brothers: Rick and Scott Fitzgerald; nieces: Hannah Renshaw and Alexia Fitzgerald, many aunts, uncles and cousins. She was preceeded in death by her mother, Mary Kay, and maternal and paternal grandparents. In lieu of flowers, memorials will be directed to a fund for the support of Kathy's children. Visitation will be Sunday, July 12 from 6-8 pm and a Funeral Service will be Monday, July 13 at 10:30 am both at Barnett- Lewis Funeral Home. A complete obituary is available at barnett-lewis.com.